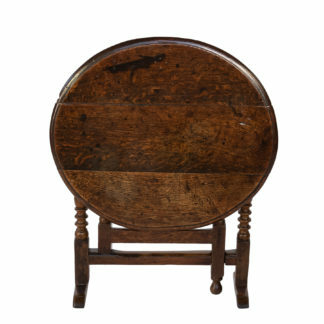 Small Scale Painted Cricket Table With Triangular Lower Shelf English, Circa 1850. 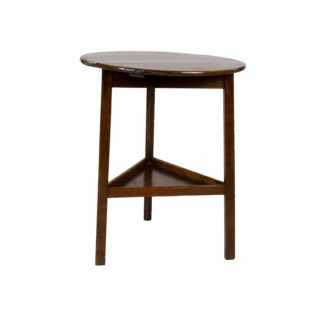 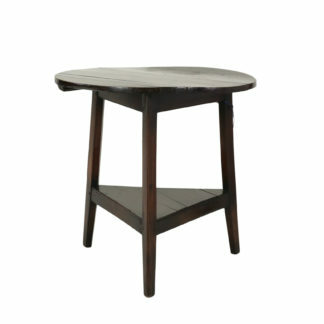 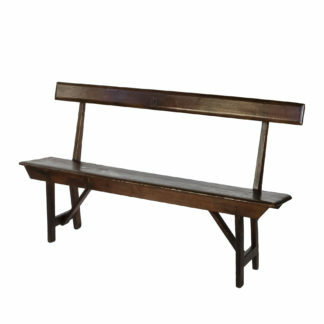 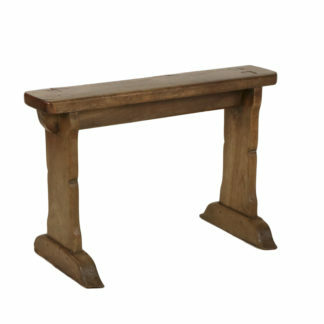 Dark Oak Cricket Table With Triangular Lower Shelf; English, Circa 1850. 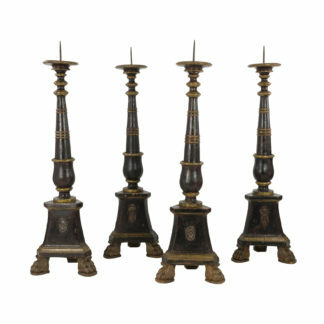 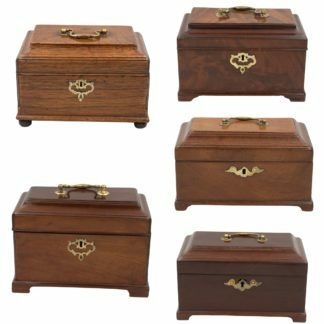 Collection of Five Similar Georgian Boxes; English 1780 – 1810. 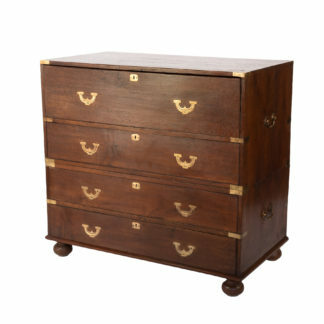 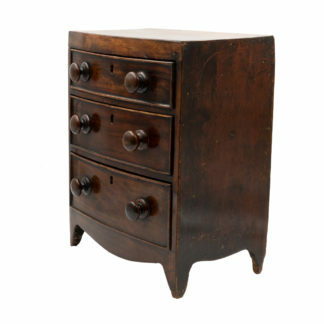 Wonderful Rustic Polished Pine Miniature Bow Front Chest Of Drawers, English, Circa 1850. 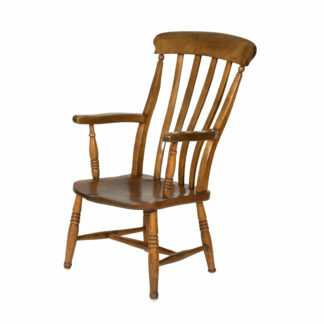 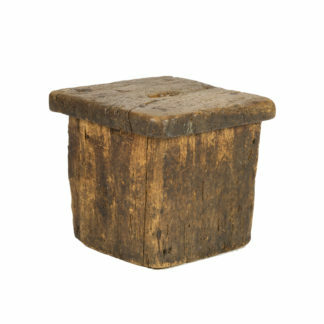 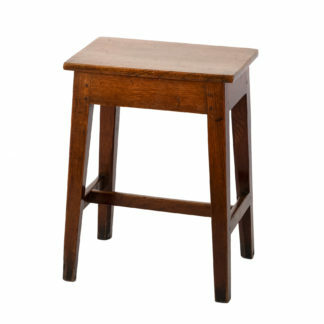 Small Rustic Square Oak Stool With Pierced Top, English Circa 1800. 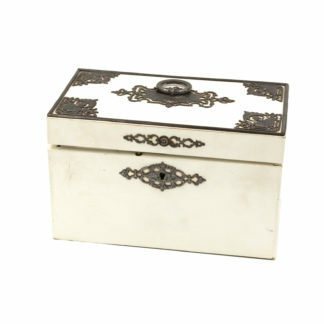 Elegant Painted English Victorian Period Tea Caddy With Elaborate Metalwork, Circa 1890. 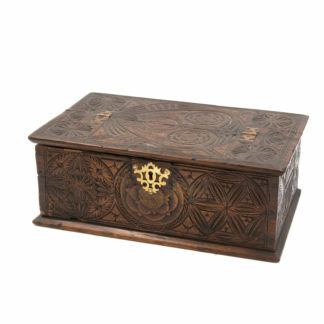 A 17th Century Carved Oak Box With Side Drawer Dated 1655.